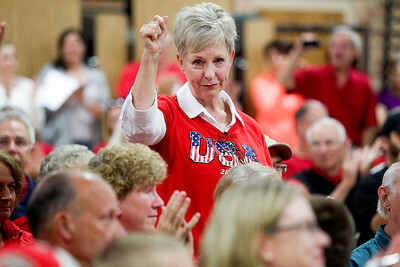 Sarah Nader- snader@shawmedia.com Citizens crowd into the gym at Prairie Grove Elementary School in Crystal Lake to attend a community meeting hosted by the opposition group to the Oakwood Hills power plant in Crystal Lake Wednesday, September 10, 2014. Lawyers, lawmakers and a hired expert spoke to residents during the meeting. 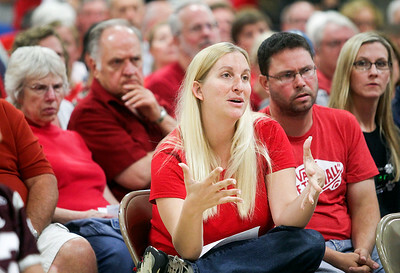 Sarah Nader- snader@shawmedia.com Katie DeWitt of unincorporated Crystal Lake asks attorney Steve Cuda a question during a community meeting hosted by the opposition group to the Oakwood Hills power plant at Prairie Grove Elementary School in Crystal Lake Wednesday, September 10, 2014. Lawyers, lawmakers and a hired expert spoke to residents during the meeting. Sarah Nader- snader@shawmedia.com Kathy Maiman of Oakwood Hills is recognized for volunteering to go door to door to talk to residents about the proposed Oakwood Hills power plant during a community meeting hosted by the opposition group to the Oakwood Hills power plant at Prairie Grove Elementary School in Crystal Lake Wednesday, September 10, 2014. Lawyers, lawmakers and a hired expert spoke to residents during the meeting. 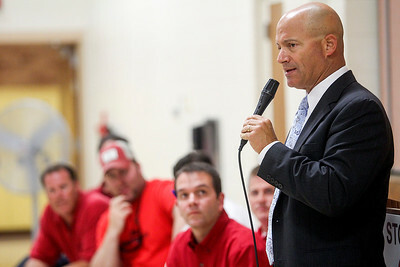 Sarah Nader- snader@shawmedia.com Attorney Steve Cuda speaks to residents during a community meeting hosted by the opposition group to the Oakwood Hills power plant at Prairie Grove Elementary School in Crystal Lake Wednesday, September 10, 2014. Lawyers, lawmakers and a hired expert spoke to residents during the meeting. 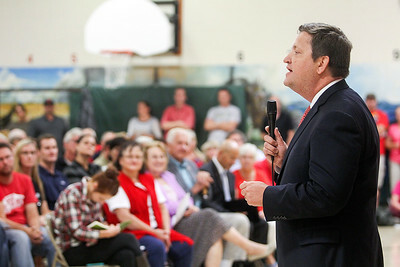 Sarah Nader- snader@shawmedia.com State Rep. David McSweeney spoke to citizens during a community meeting hosted by the opposition group to the Oakwood Hills power plant at Prairie Grove Elementary School in Crystal Lake Wednesday, September 10, 2014. Lawyers, lawmakers and a hired expert spoke to residents during the meeting. Sarah Nader- snader@shawmedia.com Ryan Noonan gives a financial update during a community meeting hosted by the opposition group to the Oakwood Hills power plant at Prairie Grove Elementary School in Crystal Lake Wednesday, September 10, 2014. Lawyers, lawmakers and a hired expert spoke to residents during the meeting. 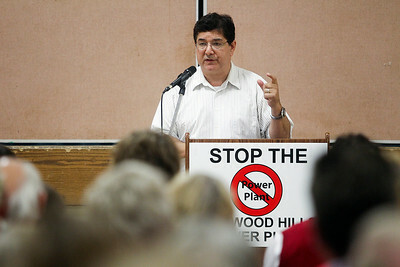 Sarah Nader- snader@shawmedia.com Bob Abboud, expert witness, spoke to residents about the proposed Oakwood Hills power plant during a community meeting hosted by the opposition group to the Oakwood Hills power plant at Prairie Grove Elementary School in Crystal Lake Wednesday, September 10, 2014. Lawyers, lawmakers and a hired expert spoke to residents during the meeting. 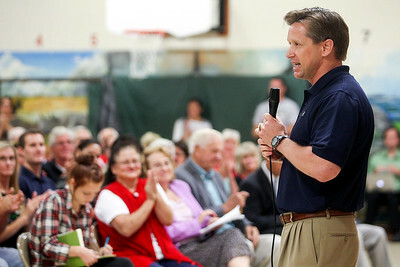 Sarah Nader- snader@shawmedia.com Sen. Dan Duffy spoke to citizens during a community meeting hosted by the opposition group to the Oakwood Hills power plant at Prairie Grove Elementary School in Crystal Lake Wednesday, September 10, 2014. Lawyers, lawmakers and a hired expert spoke to residents during the meeting. 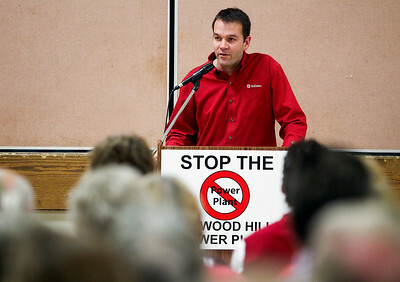 Ryan Noonan gives a financial update during a community meeting hosted by the opposition group to the Oakwood Hills power plant at Prairie Grove Elementary School in Crystal Lake Wednesday, September 10, 2014. 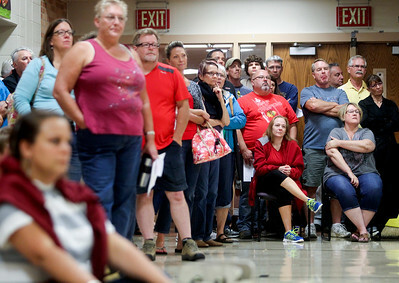 Lawyers, lawmakers and a hired expert spoke to residents during the meeting.